Our next story is out of this world. No, seriously! Aeternitas Aerospace provides reliable and cost-effective satellite communication and ranging service for customers seeking secure and scalable ground-segment infrastructure. We’re talking about collaboration, entrepreneurship, and deep space missions! 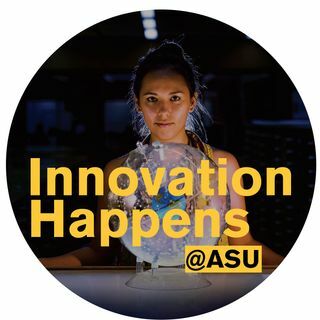 Check out this next episode of Innovation Happens at ASU. Have you downloaded the Sun ... Más informaciones Devil Rewards app? Each week we provide you with a "secret word" valid for 100 Pitchfork Points good for redeeming ASU gear and VIP experiences. This episode's Sun Devil Rewards "secret word" expired at 11:59 pm on Tuesday, March 12, 2019.